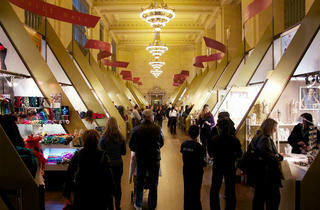 Forty unique vendors come together in one of NYC's most gorgeous architecutral attractions to provide a can't-miss holiday experience. 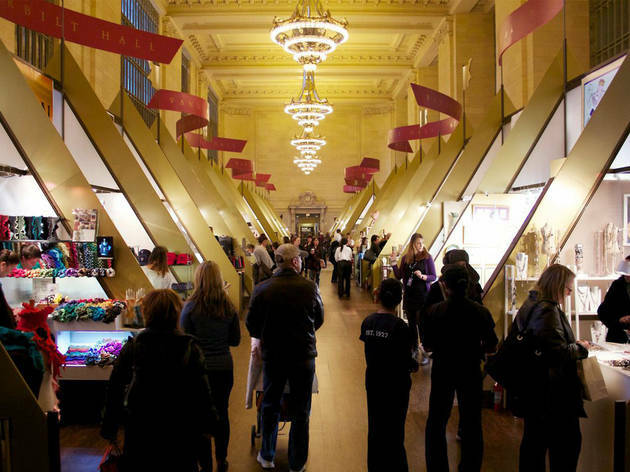 If your daily commute's got you down, the Grand Central Holiday Fair is surely one way to make you feel merry and bright. Explore the wide array of handmade goods—toys, games, accessories and more—before boarding your train home. Chances are, you're bound to find some great gifts for loved ones. Even better? You also have the option to snag a sneak peek at the holiday train show too, so you're truly entering a winter wonderland. You'll be spending a lot of time wandering the train station this season! Note that the market won't be open on Thanksgiving or Christmas Eve, so plan your shopping ahead of time. All ages.